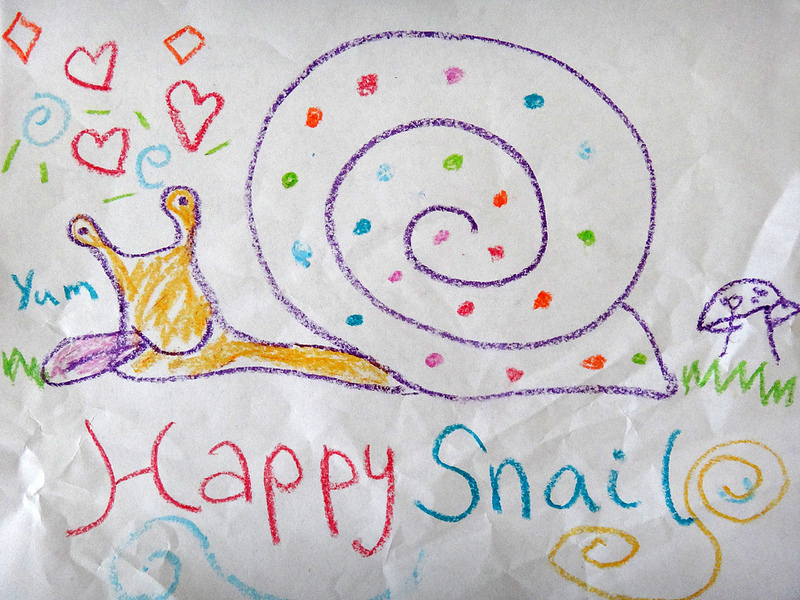 The sun is out and everyone is happy!!! 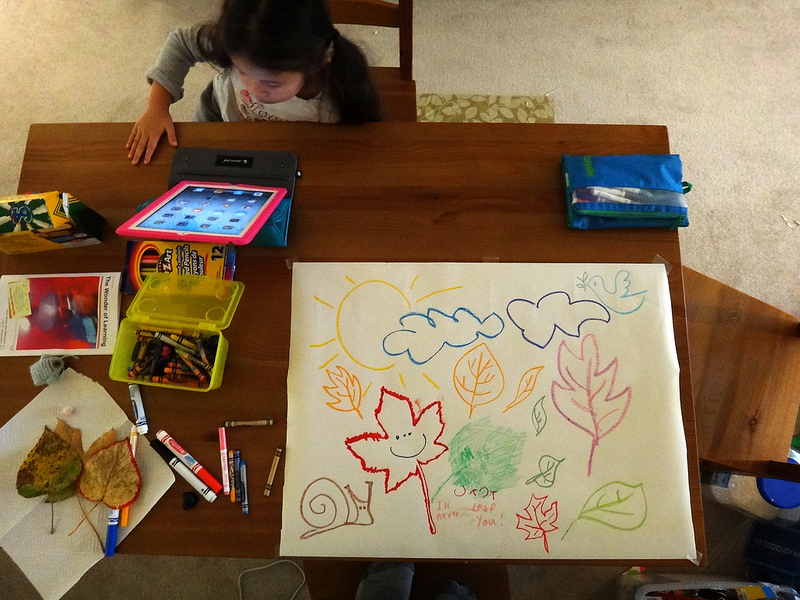 It’s raining outside but we’re still having fun. 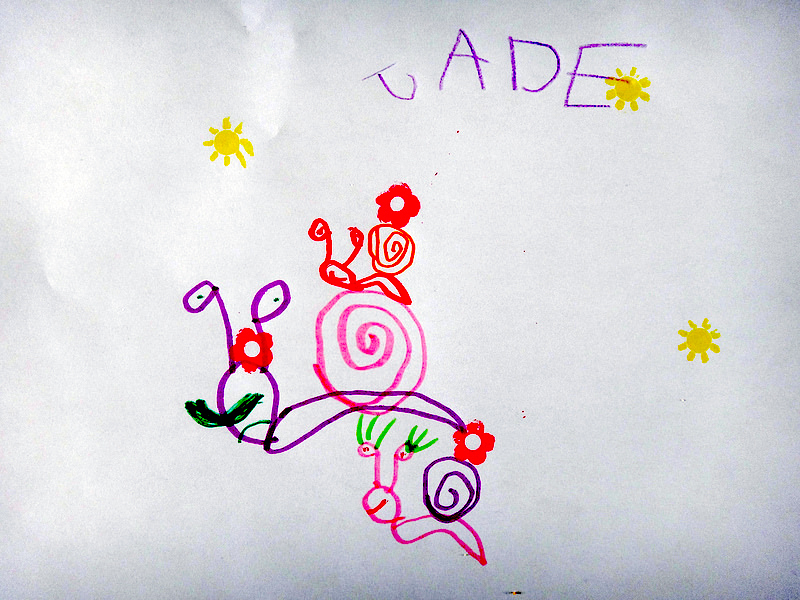 Jade named the drawing and she also “wrote” the caption in red. 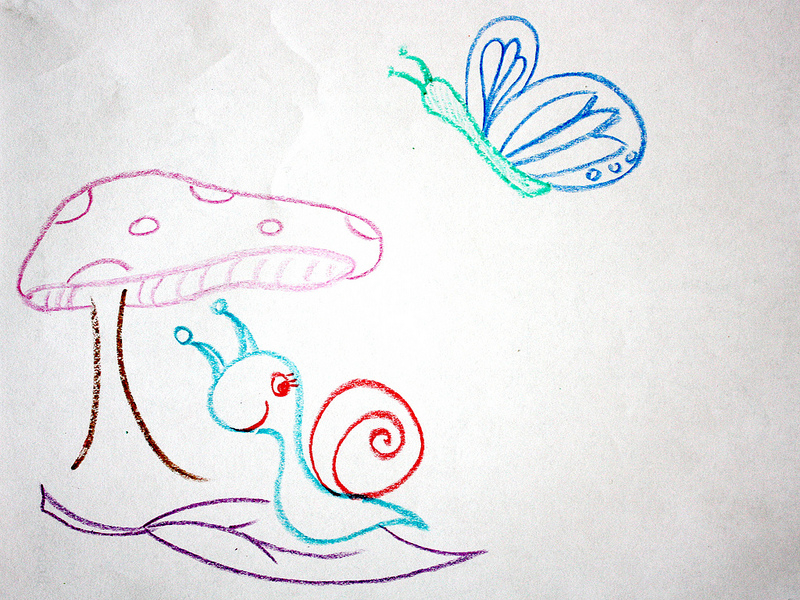 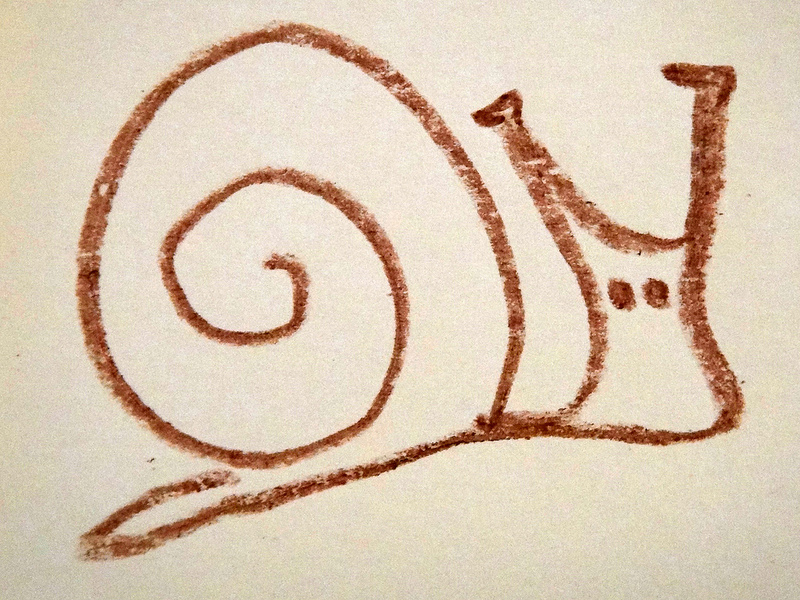 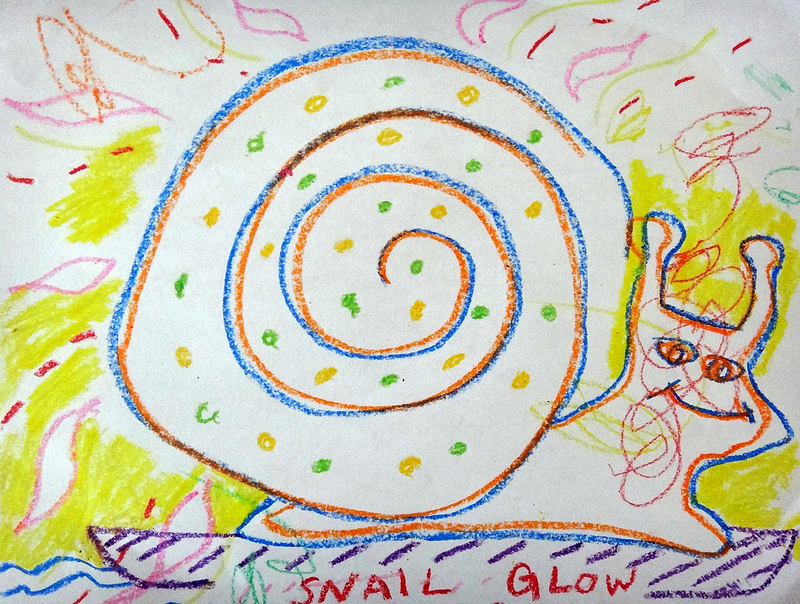 A fun snail detail from our final drawing. 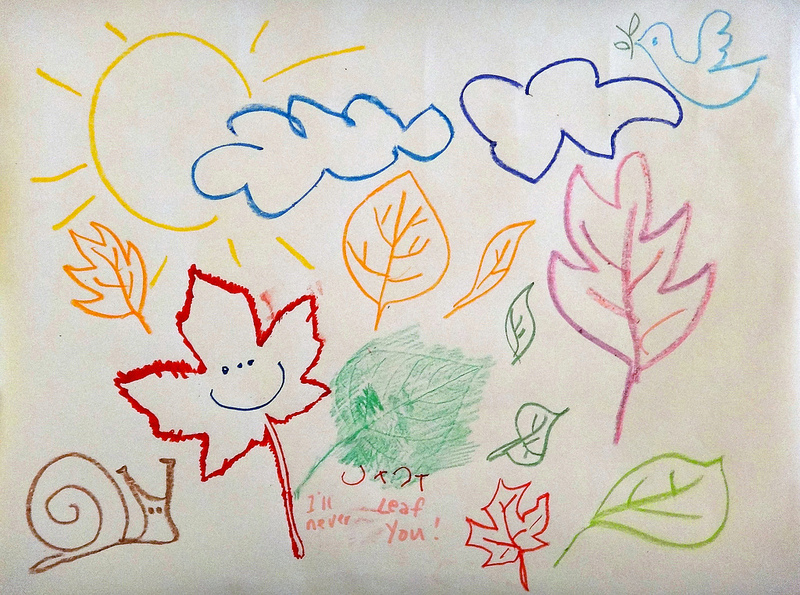 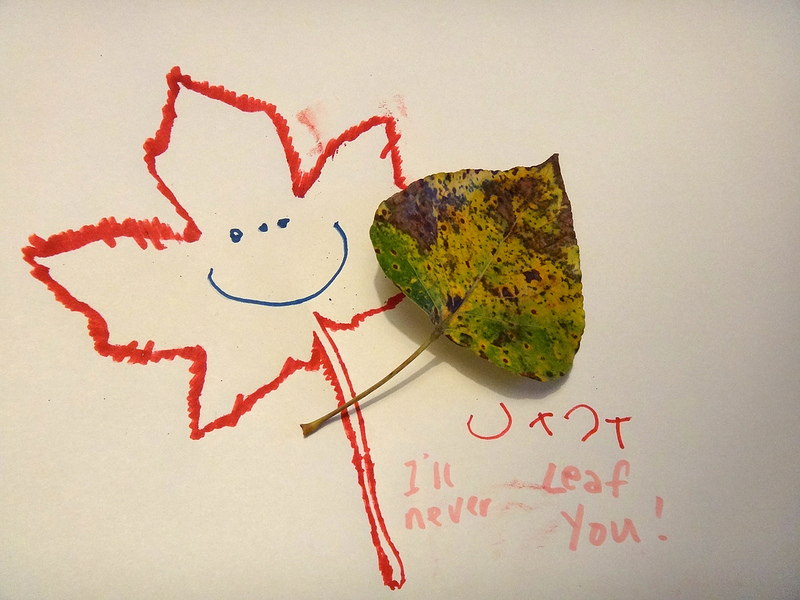 “I’ll Never Leaf You” … the final drawing.